If you are travelling to Bhutan from Europe, Bhutan is +6:00 hrs ahead of Universal Time Coordinated (UTC+6). Bhutan does not observe any Daylight saving time. 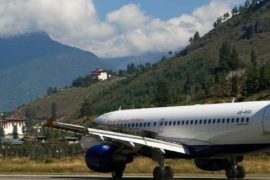 For all visitors planning their trip to Bhutan can take flight routes from New Delhi, Kathmandu, Bangkok or Singapore. Travel requirements for European citizens to get into Bhutan require a passport, valid for at least 6 months. Processing of Bhutan Visa for tourist will at least take seven (7) days for approval. Bhutan Visa costs USD 40 and is only issued to tourist booked with local Bhutan tour operator or through foreign travel partners. There are only two Airlines that fly into Bhutan, Bhutan Airlines & Drukair. 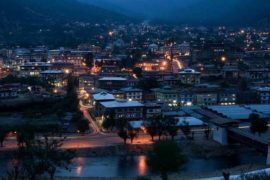 Bhutan or the ‘Place that is known for the Thunder Dragon’ may have shed hundreds of years of deliberate segregation yet it continues rehashing itself as a one of a kind country with its very own character. Today, we are the world’s most youthful vote based system, talented to the general population by our dearest Fourth King himself. Our directing advancement reasoning is Gross National Happiness. Custom, culture and the earth are enthusiastically watched and religion is a lifestyle. 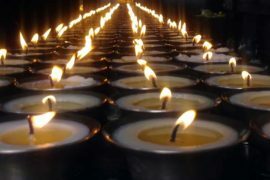 Bhutan positions among the world’s best travel goals however not very many guests make the trip. It needs to do with the Kingdom’s ‘high esteem low effect’ tourism strategy, intended to protect the country’s rich social legacy. The individuals who visit may find a land and a people set in an uncommon adjust of advancement and custom, magnificence and agreement. Electricity: 220 / 240 volts. 50 cycles AC, the current is variable. Credit Cards: Most hotels and shops catering to tourists accept Traveller’s cheques, American Express and VISA credit cards. How to get Bhutan Visa? Preceding your voyage to Bhutan, Visa is required for your trip to Bhutan. Visa is endorsed ahead of time and a visa leeway number is issued by the Department of Immigration under the Ministry of Home and Cultural Affairs. Without the visa leeway number, sightseers can’t get onto the flight or enter the nation. The duplicate of this visa freedom is sent to the concerned Drukair stations and other section focuses by the concerned Department. 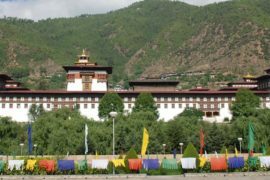 An examined duplicate in shade of the first travel permit (legitimate for a half year) ought to be sent through email to empower us to apply the visa for your benefit to the concerned government offices of Bhutan. This can be planned throughout the year, but best months are March, April, May, September, October and November. There are several festivals taking place during these months, offering an added attraction. 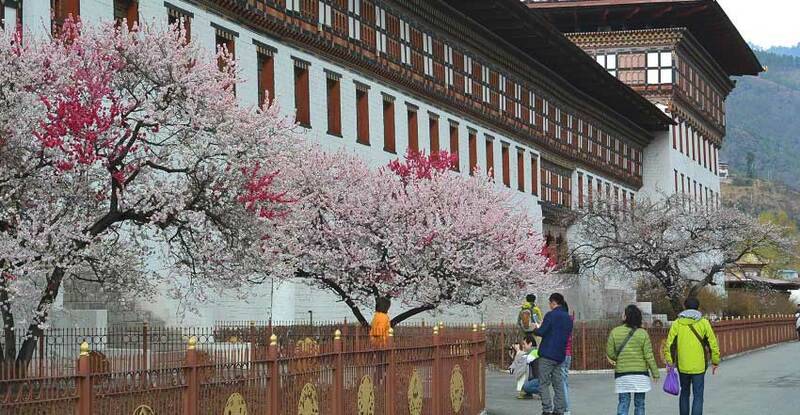 Winter in Bhutan is from mid November to mid march and at this time of the year, climate is dry and sunny for the most parts with perfect blue sky, temperatures’ peaking at around 15 degree Celsius in the day time and falling below zero at night. The monsoon usually arrives in mid-June, with light rain falling mainly in the afternoons and evening. US $ 160/ per person per night. PLUS Royalty Tax = US $ 65/ per person per night. US $ 135/ per person per night. PLUS Royalty Tax = US $ 65/per person per night. * These tariffs are the same for cultural tours, treks or any other special interest tours. There is no surcharge for three pax and above. Additional surcharge of USD 40/ per person per night will be applicable for trek nights only for a group comprising of less than three people. Single supplement of USD 40/ per person per night. Visa Fee of US $ 40/ per person for single entry will be applicable. Accommodation on twin sharing basis (in standard hotels). All meals (buffet system /include evening tea/snacks per person each day). All hotel tax & service charges. Royal Government of Bhutan (RGoB) royalties and taxes. Inland transfers: SUV Vehicles (Hyundai Tucson /Hyundai Santa Fe/ Toyota), Toyota Hiace, Toyota Coaster, Hyundai Motor Buses – based on group strength. Local sightseeing with entrance fees where applicable. Communication charges, laundry, tips, porters at hotels. Other expenses of personal nature. 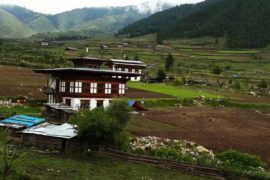 The bundle rate given above is the base rate appropriate per visitor every night end in Bhutan. Any extra administrations or a higher review room/lodging would add to a higher cost for the bundle. The higher review/lavish inns are Taj Tashi, Zhiwaling, Uma and the Amankora Lodges. All visits to Dzongs and Monasteries are required to take after the best possible clothing standard as commanded by the Tourism Council of Bhutan. Full visit installment for air and land course of action is to be saved no less than 45 days preceding entry in Bhutan. Visa will be cleared by the endless supply of installment. The banks and record numbers will be insinuated once the visit appointments are affirmed. There is no individual protection of any sort incorporated into the visit cost. Travel protection ought to be gotten from your place of living arrangement, before initiation of your excursion. All reservation must be sent in composed, fax or email. Appointments will be gotten for all dates independent of high season or low season whenever of the year.For all Festival Dates, the appointments must be sent or affirmed at the very latest 100 days preceding the date of entry in Bhutan. Non affirmation of the appointments with no notice following 100 days will be dealt with as wiped out and the reservations will be discharged to maintain a strategic distance from cancellation charges from the lodgings. Any appointments got/restored following 100 days time span will be acknowledged relying on the accessibility of Drukair seats and lodgings. For cancellations received on or before 45 days prior to date of arrival – full refund. All cancellation has to be sent in written (fax/e-mail) before the stipulated time. Every effort will be made to adhere to the planned itinerary. However, due to unforeseen circumstances such as weather and road conditions, changes in flight schedules, national holidays and reasons beyond Bhutan Wonderland’s control, there might be changes in the daily programme/itinerary.